GM's four brands averaged 98 problems per 100 vehicles and it was the only automaker with less than one problem per new car, passing Toyota and Honda. DETROIT -- General Motors for the first time ranked atop a closely watched survey measuring new-vehicle quality, while Ford Motor Co. continued to be dragged down by its electronic features. 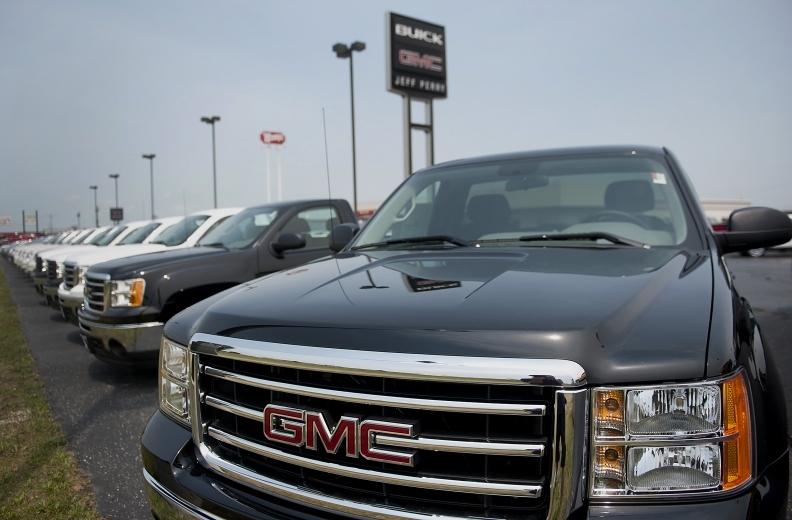 GM placed two brands -- GMC and Chevrolet -- in the top five of J.D. Power and Associates' Initial Quality Study released today. The annual survey, redesigned for its 27th year, measures the number of problems on 2013 cars and light trucks that buyers report after 90 days of ownership. Volkswagen AG's Porsche unit topped all brands, followed by GMC, Lexus, Infiniti and Chevrolet. "GM has the best quality of any corporation in the study, the first time it's been on top," said David Sargent, vice president of the global automotive practice at J.D. Power and the study's author. "And GMC and Chevrolet have never finished in the top five before." Almost two-thirds of problems reported on 2013 models were related to design rather than manufacturing defects -- things drivers considered not broken but still difficult to understand or operate, Power said. "The manufacturers have gotten really, really good at building high-quality products," Sargent said. "Quality now is not just 'Does it work?' It's a matter of how it works and is it simple and enjoyable to operate." Results of the study were released today at an Automotive Press Association luncheon in Detroit. GM's four brands averaged 98 problems per 100 vehicles, and it was the only automaker with fewer than one problem per new car, passing Toyota Motor Corp. and Honda Motor Co., which tied for second among automakers with 103 problems per 100 models surveyed. Power said the Lexus LS sedan, which was redesigned for 2013, was the most trouble-free vehicle with 59 problems per 100 vehicles surveyed. But it was the only Lexus model to top a segment. The brand grabbed the most awards each of the last four years and topped every segment that it competed in just seven years ago. "They will consider this disappointing," Sargent said of Toyota and Honda. "Toyota would expect Lexus to be No. 1 and Toyota to be No. 2. That's their mission. Honda would expect to be in the top five. And they're not." Ford Motor's Lincoln brand tied the industry average of 113 per 100 vehicles, but with 131 problems per 100, the Ford brand finished No. 27 of 33 ranked marques, the same position as last year. The Ford C-Max was last among all models studied with 222 manufacturing glitches or design flaws per 100 vehicles, nearly twice the industry average of 113, USA Today reported. The five-passenger crossover is new for 2013 and only available as a hybrid or a plug-in hybrid. "Nothing energizes us more than receiving the verification of quality from our customers," Alicia Boler-Davis, head of global quality and U.S. customer experience for GM, said in a statement. Porsche, with 80 problems reported per 100 vehicles, finished well ahead of its corporate stablemates, No. 13 Audi and No. 23 Volkswagen. GMC and Chevrolet were the only nonluxury brands ranked in the top five. The Acura and Toyota brands tied for No. 6, Honda was eighth and Jaguar ninth. Hyundai, Kia and Mercedes-Benz tied for No. 10. Power redesigned the study for 2013, after seven years, for several reasons. Questions about outdated hardware such as cassette players have been updated to include new features such as voice recognition and lane-departure warning. Power also switched from paper questionnaires to asking randomly selected owners to respond online. The changes allowed the market research firm to obtain more follow-up details from owners about any problems. The change was requested by automakers surveyed and who pay Power for analysis of the data. Automakers use the study to assess quality and to improve product quality and launches. "Now we are able to provide massively more information to manufacturers," Sargent said. This year's study is based on responses from 83,000 consumers who bought or leased 2013-model light vehicles. The survey, with 233 questions, was conducted from February to May. Brands that dropped the most in the survey -- Nissan, Ram and Cadillac -- were hurt by launches of redesigned or new models, while brands that posted major gains -- Smart, Chevrolet, Smart, GMC, Chrysler, VW, Hyundai and Kia -- benefited from mostly carryover products, Power said. While GM has matched Japanese quality, the company has so many new models coming to market that it will be difficult to repeat this year's success, Sargent said. New and redesigned vehicles tend to have more problems than carry-over models that undergo fewer design, engineering and equipment changes. GM has 18 new vehicles being introduced this year. "I think if GM's No. 1 as a corporation next year, I'll be surprised and they will be surprised," Sargent said. GM's challenge is to maintain its standings as the automaker rolls out new models this year, and to change consumers' perceptions that haven't caught up with reality, Sargent added. And GM must also improve long-term reliability, where Detroit automakers still largely lag Asian rivals. "If you went out on the street and asked 100 people who has better quality, Chevrolet or Toyota, 90 people would say Toyota," Sargent said. "The reality is, they're essentially identical and sort of have been for a few years now. People just don't give the domestics credit because for 30 years they were laggards. You don't overcome that reputation easily." One major finding is that it's easier to fix something that's broken than it is to make customers comfortable with things they find hard to understand or operate. Customers who reported a manufacturing flaw said it was fixed on the first visit to a dealership 43 percent of the time. But only 13 percent of design-related problems were solved on the first visit. Sargent said design problems are hard to solve. Some can be avoided by salesmen explaining new features at the time of purchase, and others by software changes. But features that customers don't understand, find hard to operate or are just inconveniently located in the vehicle are likely to remain a problem for the life of the vehicle. The two types of problems most commonly reported this year? Voice recognition systems that act up, followed by built-in Bluetooth systems that fail to connect to cell phones or other mobile electronic devices. Owners want more content, especially technology features, and automakers are trying to provide it, Sargent said. "Finding the right balance is the trick," Sargent said. * No other model in this segment performs above segment average. 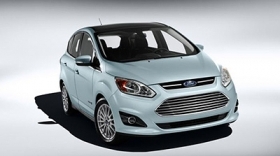 The new Ford C-Max ranked last among all models surveyed on J.D. Power's new-vehicle quality study for 2013, with nearly twice the number of problems as the industry average. A prime example is the MyFordTouch infotainment system that provides connectivity for Ford owners, but which many operators consider frustrating to use. Since the technology was introduced, Ford's ranking in Power's new-vehicle quality survey has fallen from the top five to No. 27 last year and again this year. Sargent said Ford has improved the system. But this year all Ford models offer it instead of only certain vehicles, offsetting any gains from improvements. "Ford is probably at its low point," Sargent said. "As we go forward, the improvements they're making to their technology will offset the fact that it's in more vehicles. We'll probably see Ford start to rise, particularly as we see some of the others introduce their versions of the technology." GM's rise to the top on quality showed up in the new-vehicle awards for best quality in 23 specific car and light truck segments. Chevrolet won five awards, while Mazda, Kia and Porsche, with two each, were the only other multiple winners. Buick, Cadillac and GMC also won quality awards in product segments, giving GM eight wins. Hyundai-Kia won three, the only other automaker with more than two. Sargent said GM has risen to the top because of a relentless focus on quality for several years. "GM is as obsessed with quality as Toyota and Honda were as they made their moves," he said. "It's like a mission. They're just rabid about quality."